Congratulations! In your hands you’re holding the result of someone’s valuable time and energy spent to make your day just a little bit worse. Feel proud! You might not think this is a very big deal—“It’s just a bit of glitter, after all,” you say—but let us correct you. This is not just a bit of glitter; this is a lot of glitter. Make friends with it now, because for the next few days, weeks, and months this glitter will be your constant companion. You will find it on your skin, in your hair, even the most delicate of places. Wherever you go, you will leave a trail of glitter in your wake. You have just been anointed the King Midas of Glitter and will soon begin turning your dearest friends and most prized possessions into living monuments of glitter. If you’re wondering what to do now, we have a suggestion or two. 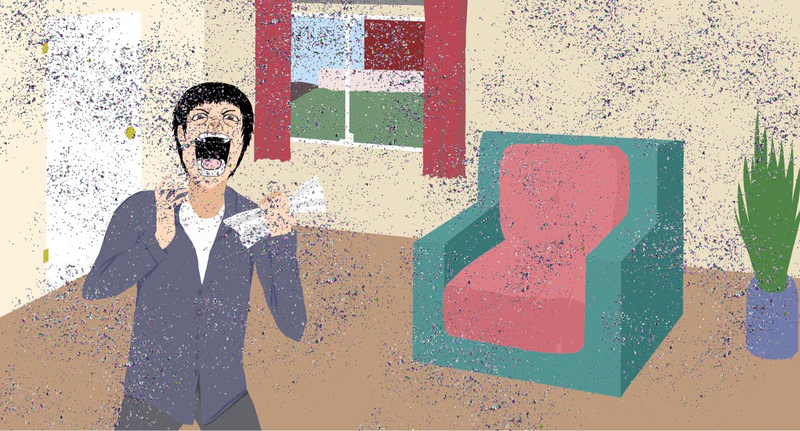 First, you might want to try vacuuming up any excess glitter you can. Don’t get us wrong, this won’t help at all, but it’s always funny to imagine your feeble attempts to rid yourself of your well-deserved craft herpes—so why not humor us? Secondly, remember the old adage: Don’t get mad, get even. Shipping a magnificent envelope of glitter right back to the adversary should do the trick. It might not be original, but it will definitely be effective. Not sure which enemy sent it? Send glitter to them all. Good luck!